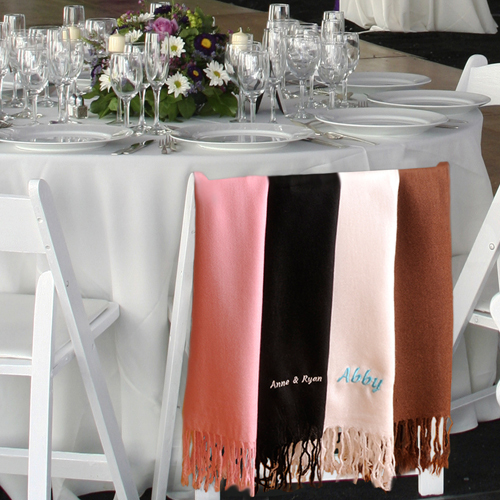 * Inspired by the British Royal wedding, these personalized Pashmina Scarves add a touch of class to any wardrobe while keeping shoulders warm. 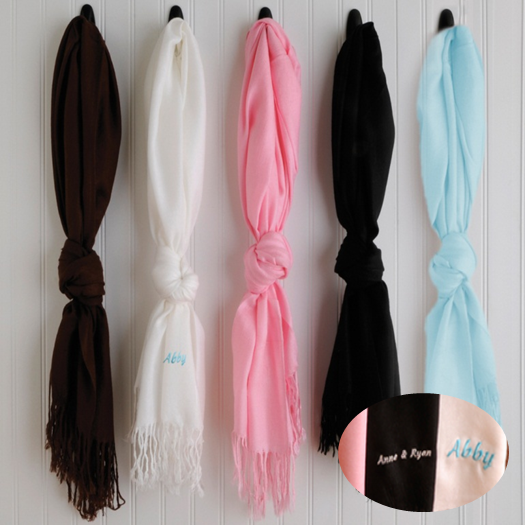 * The scarf is a perfect gift for your wedding party to help them keep the chill at bay, as a classy wedding favor or any other occasion you may need a classic scarf accessory. 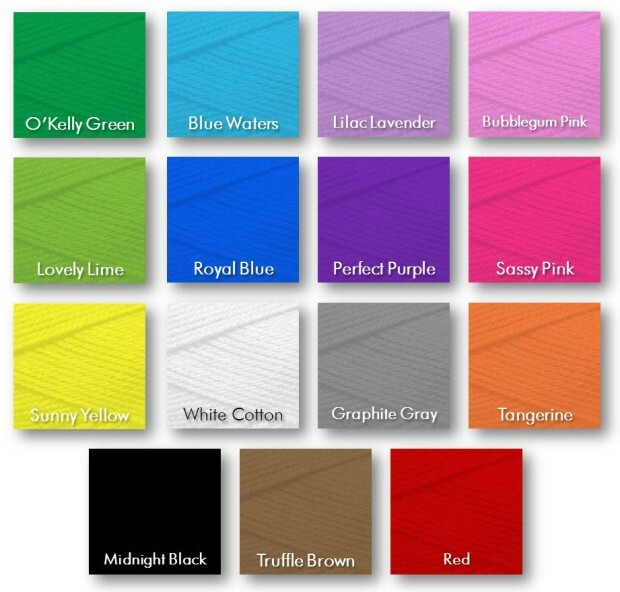 * Available in four of today's most popular colors - Petal Pink, Black Noir, Winter White, Chocolate Truffle and our NEW Blue-Mist. * Size: Measures 28" wide and 72" long. 72" x 28" x 2"